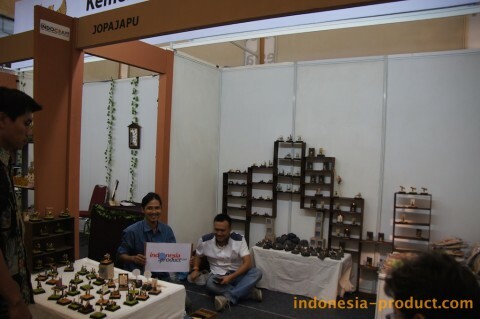 “JopaJapu” is liping art of the craftsmen of origin Solo namely Bejo Wage Suu. 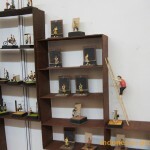 The word “Liping” is wordplay from English “living” which means the art is displayed the live story of Javanese local village into a small diorama. Liping art is a Solo handicraft product made from pine woods or the mix of stones, woods, and grasses. Liping art was started in 1999 when Bejo started to make character figurines and sell them around the colleges in Yogyakarta. 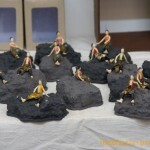 Liping art is a Solo product made from pine woods or the mix of stones, woods, and grasses. The process of making liping art is started with sawing out pine woods into small pieces. The next process is to shape the small pieces of pine woods by shaving it according to the character plan. After it was shaped, liping art need to be colored.